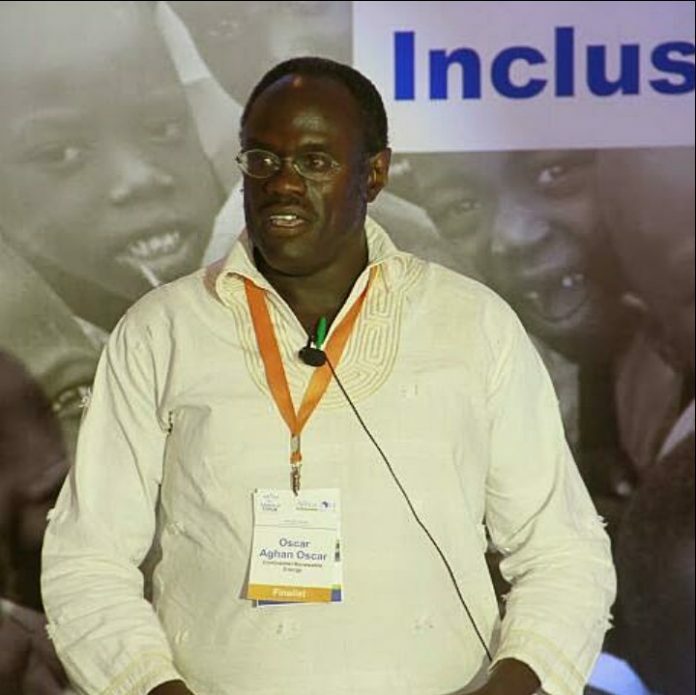 Dr. Aghan Joshua Oscar is the chief executive officer of Continental Renewable Energy in Kenya. He is also a certified project manager, development and strategic management expert, social business entrepreneur, and lecturer. Greatest milestone: Having started a successful recycling company and setting up an innovation of making roofing tiles and drive-way blocks from post-consumer plastic mixed with sand, rank highest in the list of my milestones . Nonetheless, I have also proudly managed to acquire a PhD in Management, become a chartered waste manager and raked in numerous awards in my field of work that cuts across all waste sectors such as plastic, biomass, food waste and aluminum. Along the way, I have learned that waste is not just waste but a resource. I have also come to understand that affordable housing can be derived from our waste. Secret to making it: Being disciplined, working hard and fearing God is the recipe for success. I have gotten to where I am through innovation and resilience. I have also established partnership linkages, business networks, and career progression. Unfortunately, many Kenyans fear taking risks. They also don’t understand the basic market intricacies of what they do. Obviously ignorance plays a leading role to poverty. Biggest money mistake: Having a poor close supervision of business has been my biggest mistake so far. I once tried a sugar jaggery business in Rongo and it failed because I was far away. I then also started a fitness gym in Kisumu but it also failed due to poor management because I was not physically present to make key day-to-day decisions. I learned that in business, you should never trust friends or relatives. They never have the vision and passion to run the business as well as you do. My own blood brothers would conspire to run down my business through fraudulent transactions and misappropriate funds earned for personal gains. My biggest loss: This has been a very personal loss. I lost my wife through death who was a key pillar in my business entity. This made me learn that women have important pivotal roles in family businesses. I have also come to believe that risks should be insured. At the same time, mitigation should include clear business contracts, being compliant and not over-relying on doing business with government. If I could go back in time: I would re-align my partners and choose my business partners wisely based on their passion, inherent characters and business acumen skills. Saving method: I save through making long-term financial investments in ventures such as investment vehicles. The returns are certain and the path to getting them is clear. I have not always saved this way though. Previously, I used to save by investing in co-operative investments which offer very minimal support in financial excellence. Entrepreneurship versus employment: I believe that going into business is the better way of creating wealth. It primarily gives you the freedom to exercise your ability and a room to exploit your potential to a maximum level. In employment, this is not always the case. Oftentimes, your limits will be restricted.